If you print them out in booklet style, they make nifty little zine book! Well most of the clones out there are just that, an almost exact clone of what was, flaws and all. THEN you have the bloated new stuff with all the cool options and such but DAMN! to many rules! IT'S just bad game design to make rules like that! So what did I do? I made a simple version of the old system I loved and added in a few modern options. IT needs to be easy to run! 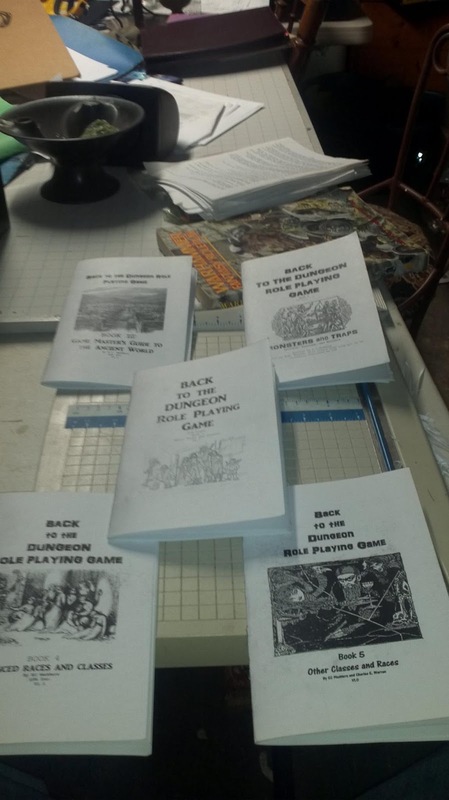 It should be a pleasure to create dungeon deep and wildernesses wild and NOT WORK! Here are monsters for example! Goblin AC12+ HD1-1 Move20 Damage 1d6 Weapon and Ranged. Goblins are small 4' tall evil stinking humanoids of various bestial looks. They only live to destroy. They are the ancient enemy of the dwarves but the plague all when they come to an area and multiply. The ugly race of pig faced humanoids with green to brown mottled skin. They form tribes in the wilderness and join up to raid and destroy. The only weakness they have is fighting among themselves. Their leaders will have many more hit dice. The Swamp Dragon is an evil swamp dwelling dragon that plots and plans how to acquire more gold. There will be an entire post on monsters in the future. I gave the classes a bit more meat because players seemed to like that. I took the complication out of most of it compared to modern gaming. Check out the Fighter and the Rogue. • STRONG (STR): The Fighter may use his Strength to perform a feat of Strength such as moving heavy objects that no other characters can. • SOLDIER (INT): The Fighter may also use his Intelligence to see the quality of weapons and armor. • RESIST (CON): The Fighter uses his Constitution to resist toxins and drugs as well as any thing that might shock his system. • RIDER (WIS): A Fighter may also use his Wisdom to keep control of his horse or other steed. even if he has already taken an action this round. is made with a damage roll as well. 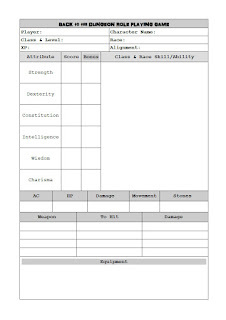 • FIGHTER: You are proficient in all weapons and armor. automatically do triple damage in Melee Combat only. if the first one dies from the massive damage. level improving every 4 levels. Hit Points: 1d10 per level. 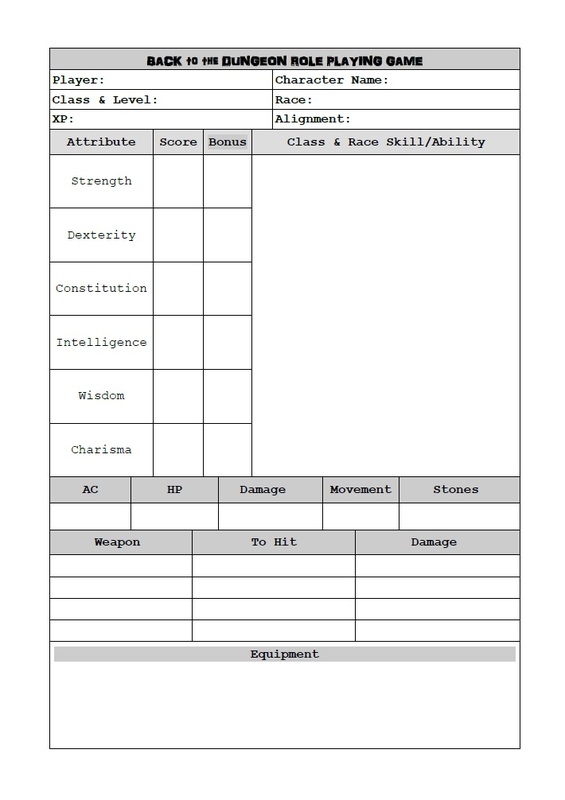 Here is the nifty character sheet!